Nishi Enterprise is a leading designer and manufacturer of different kinds of assemblies that are used for a wide range of operations and functions. We regularly design and create assemblies that can be used in power plants, steel plants, cement industries, blast furnaces, mining industries, ceramic industries, paper industries, automation industries, conveyors as well as OEMs from various sectors. Our products are extremely versatile and we always follow the leading industry standards that are associated with these products. We can also create custom assemblies for our clients that enable them to enhance the efficiency of the functions for which they are looking to use them. This can also help to bring down the costs associated with such processes. At every instance, we always make use of cutting edge and latest technologies to design and manufacture these assemblies. Once you get in touch with us, we will discuss your needs and requirements with you and then use that input to create custom assemblies and components for your projects. We will manufacture the assemblies and products as per the detailed drawings, specifications and samples that you provide us with. We have a team of highly experienced professionals working with us who can oversee the different aspects of the production process and come up with unique ways to improve the quality of the finished products. We will also make sure that our products are ideal for execution or implementation so that you do not have any issues while using them. 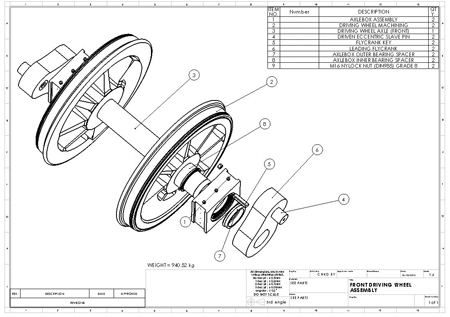 We have a team of highly skilled engineers who are well aware of the design requirements of assemblies. Our smart design of assemblies ensures maximum productivity for all kinds of projects and operations. Since we only make use of the finest raw materials to produce these assemblies, they offer high durability and reliability each and every time. The assemblies that we can offer are energy efficient and can help to bring down the cost of the projects to a great degree. We deliver custom assemblies that ensure greater levels of productivity for our clients. Each and every assembly that we design and produce is tested for the highest level of operational efficiency before they are offered to the clients. Our stringent quality parameters always enable us to deliver top notch products to our customers. We always stick to our deadlines so that our customers can meet their goals. Copyright © Nishi Enterprise. All Rights Reserved.